Coming home after a long trip can take its toll on you and your family. You’re tired from long layovers, dealing with airports and security, as well as trying to locate your baggage. All you want to do is get home and rest before you have to go back to the daily grind the next day. As an airport transportation service, we want to make your trip home a little easier. When you decide on Ohio Luxury Transport, you’ll be comfortable and relaxed on your way home. With the best car service in the Cincinnati and Dayton, OH areas, you’ll be able to rest easy as we drive you home from the airport. To book our transportation services, contact us for a quote. When you decide on Ohio Luxury Transport, you’ll come home from your long vacation in a comfortable fashion. You don’t have to worry about trying to find your car, waiting for a ride, or even taking the bus. We’ll come right to your location when you make a reservation with our airport transportation service. We know how tiring and stressful the end of a vacation can be. You need to hurry home to get ready for the week ahead or you missed a flight, which resulted in you coming home later than you’d like. Traveling can be demanding, but when you choose our airport transportation service, you’ll be able to relax and arrive home in style. If you’re interested in choosing our airport transportation services to bring you home from your long trip, then you’ll want to fill out a reservation form for our black car service. We make it simple and stress-free to come pick you up from the airport. All you need to do is contact us prior to your trip and let us know the desired time you want us to arrive as well as the date. You’ll also want to let us know your personal information and the flight number, so we can contact you if there’s a miscommunication or we are unable to find you. Lastly, you can let us know about notes you’d like us to be aware of, such as you have a lot of luggage or you’d like us to make multiple drop-offs because you have a larger party. Choosing our airport transportation services can make your life a lot easier when you travel. When you go to the airport, we can drop you off so you don’t have to worry about finding parking or waiting on a ride. The same can be true when we pick you up from the airport. 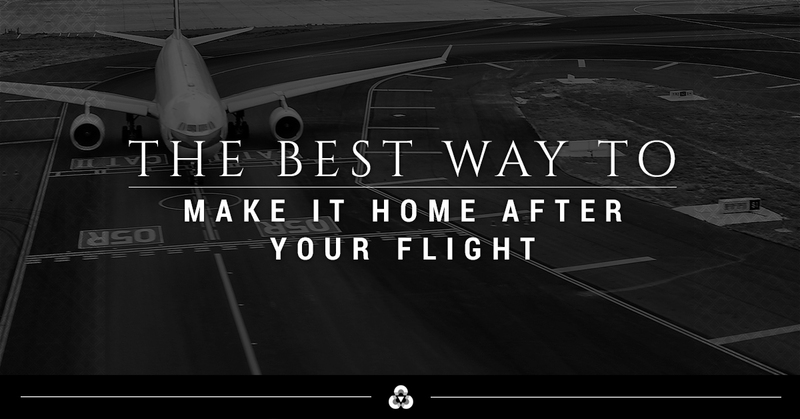 Initially, when going on your trip you might feel a little stressed and anxious to make your flight. Coming home you may just be downright tired and want some peace and quiet after a long flight. Whether you’re flying internationally or throughout the United States, it’s always a luxury to be able to take a rest after a flight. When you choose Ohio Luxury Transport, we are timely, reliable, and we’ll make your trip home from the airport seem like a breeze. For more information on our airport transportation services, contact us.